Wix is one of the most popular and well-reviewed website builders. Wix has a whole list of useful features including the ability to improve your SEO, have online forums, booking and contact utilities, forms, online chat and many more. There is a large gallery of templates to choose from with designs especially created for industries such as photography, restaurants, travel, fashion, and education to name a few. You can create a site on Wix for free, although you won't be able to use most of their premium features and you will have to use a Wix-branded domain name and host Wix ads on your site. The most basic paid plan is $5 per month, and the most expensive is $25 per month. You can start your own online store starting with their unlimited plan at $14 a month. Over one million users enjoy Squarespace, which is lauded for having beautifully designed templates that allow for greater customization based on your needs. Squarespace offers four plans starting at $12 per month up to $40 per month for their highest level of features and customer support. A basic e-commerce plan starts at $26 per month. If you're not sure about the platform, there is a 14-day free trial. Squarespace also has an excellent YouTube channel that does more than simple tutorial videos. Videos showcase actual professional and stunning websites created with Squarespace to provide you with inspiration. Site 123 calls itself "by far the easiest free website builder." Unlike other drag-and-drop website builders, with Site 123 you pick a style and layout that you like and enter in your content which will be placed into the layout. Sites are mobile and SEO-friendly, and some premium features available are custom forms, booking and reservation tools, social media integration, event ticketing sales and multilingual sites. There are two pricing plans. The free plan provides you with their basic features and a Site 123 subdomain. Their premium plan is $9.80 per month, which includes a domain, e-commerce, and their premium tools. Duda is a PC Mag "Editors' Choice" for website builders. 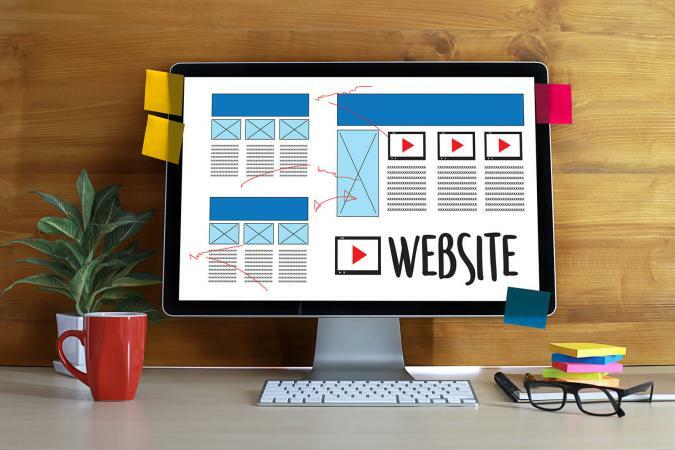 The website builder has been used for over nine million websites and is the "only Google-Preferred website builder fully optimized for page speed." Duda lets you build responsive and mobile-only websites with a drag-and-drop editor and the ability to import content if you already have a website. Features include e-commerce, multiple languages and integration with many popular business, social and marketing third-party apps. There is a free plan with limited features, as well as separate plans for responsive and mobile-only websites. The paid plans start at $7.20 per month up to $22.50 per month. There is also a free-trial period for the paid plans. Jimdo has two options for the DIY designer. You can use their Jimdo Dolphin service where you enter in your information and pick a design, and their program will generate a website for you within a few minutes. Their other service is Jimdo Creator, which uses a drag-and-drop interface and lets you do more customization of your site. There are four plan levels starting at free and as high as $30 per month. All plans include features like professional designed templates, social media integration, and contact forms and are mobile-friendly. Jimdo has been lauded for being the best all-in-one package website builder.